What Does "The Strike" Mean in the Craft Brewing Process? The strike refers to the emptying of the brew kettle after the boil is finished. 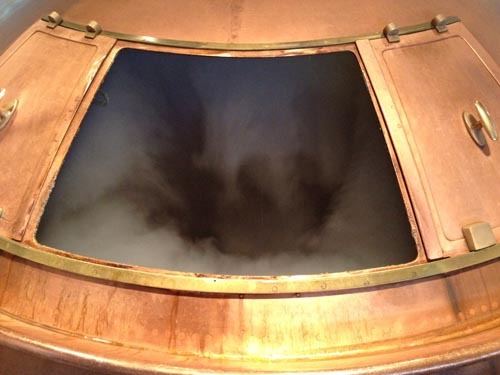 Dark, brooding, and mysterious – the steam vortex within the brew kettle during the strike. At Anchor, the strike also involves the removal of the spent hops from the wort by running it through a special straining device called the hop separator. 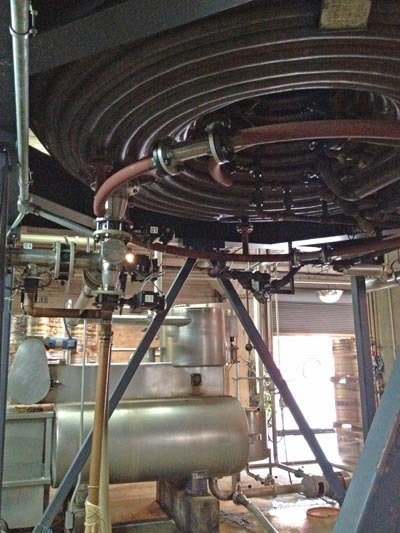 A view of the hop separator and the underside of the brew kettle. After hop separation, the wort is on its way to the hot wort tank, and the brew kettle is now ready for another boil.